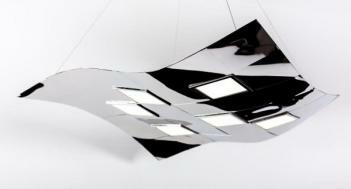 The Nomi is an OLED sconce from Acuity Brands that uses two rectangular OLED lighting panel (made by LG Chem). The Nomi are set to mimic candles hung on a wall. There are two models, the Nomi Straight and Nomi Curve. 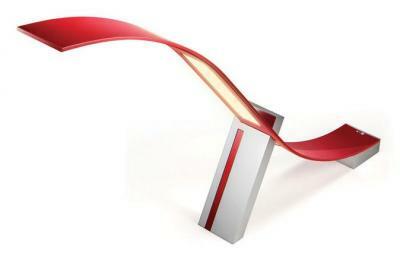 The Nomi Curve will adopt a bendable OLED. 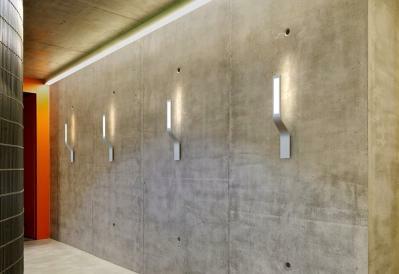 Both Nomi sconces will ship in the summer of 2014. 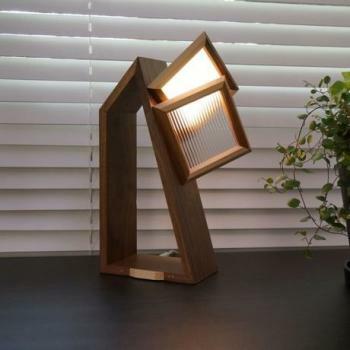 Feel Lab's PACO Organic Desk Light is a desklamp that is made from a magnetic wood-coated base, one OLED panel (Lumiotec P04, 97.6 x 97.6 mm) and one transparent panel (non illuminated). You can change the location of the panels (they clip magnetically to the base). 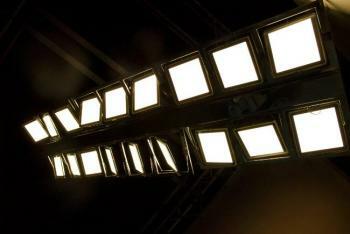 The Flaps ceiling lamp (designed and made by Italian maker Turnlights) uses 18 Philips Lumiblade GL350 OLED panels in a multi-tile system. Each OLED can be rotated on two axes. 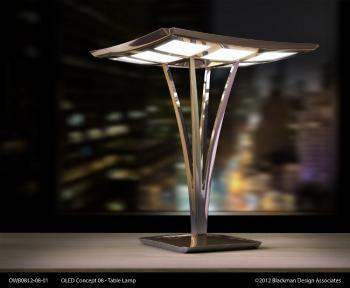 They say that this lamp provides 360-degrees ambient light and it works in every location. 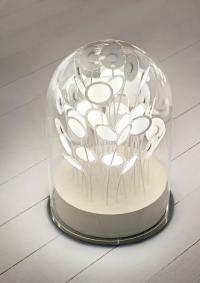 The lamp is made from aluminum (available polished, satinised or bronzed) and the total dimensions are 147x406x cm. We do not know the price and availability date yet. 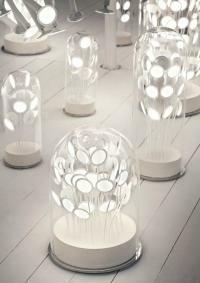 The Bell family of beautiful OLED lamps by Blackbody (designed by Thierry Gaugain) feature round OLED panels and are like "unique OLED flowers blooming in their precious glass house to form a luminous bridal bouquet worthy of a 19th century royal ornament". There are four versions available: The Isa Bell (9 panels), Ana Bell (21 panels), Clara Bell (45 panels) and Ray Bell (61 panels). The Isa Bell costs $900 and the Ray Bell costs $6,000. 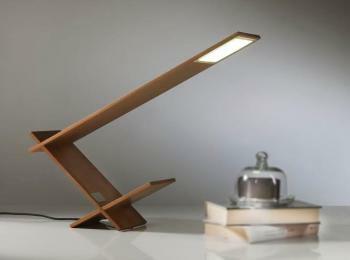 The Aradess, designed and sold by Stephen Blackman is a desk lamp that uses 8 Philips Lumiblade GL350 OLED panels (first generation, 120 lumens each). The Aradess will launch soon by Stephen Blackman, with a retail price of about $5,900.